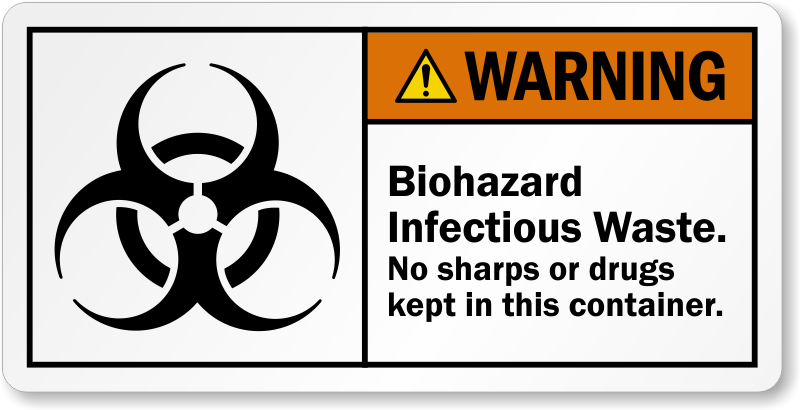 Don't get stuck. 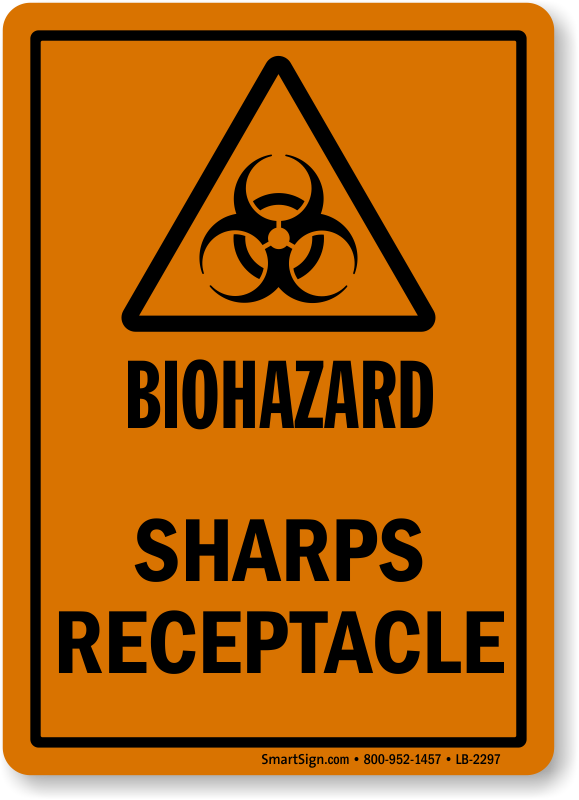 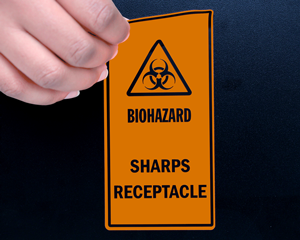 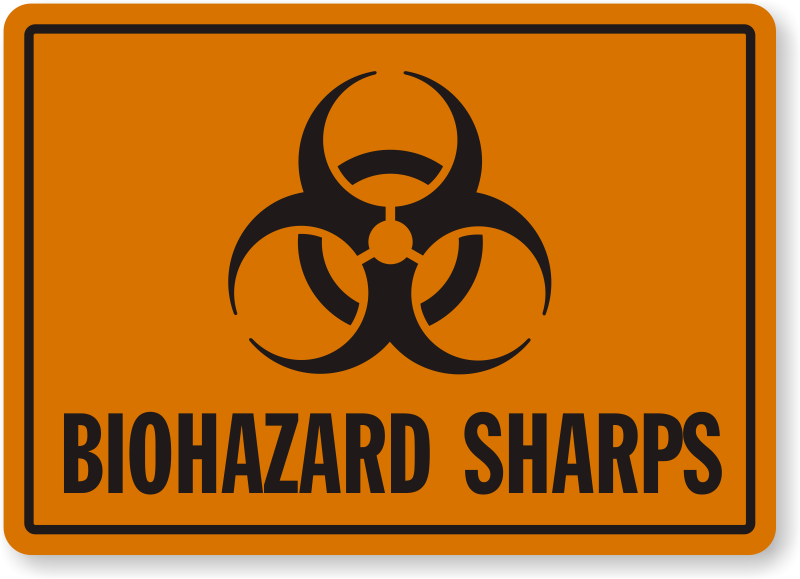 Mark sharps containers to let everyone know where to dispose of biohazard waste, or warn everyone of where sharps and glass are stored. 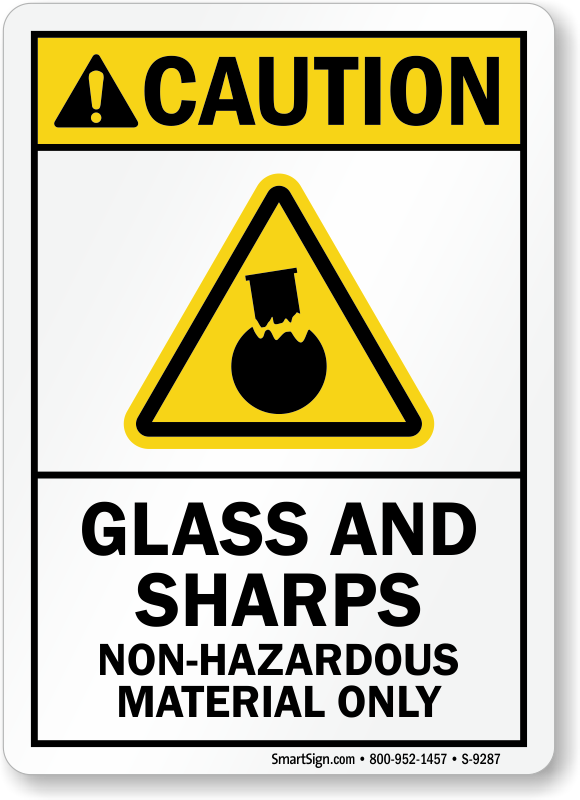 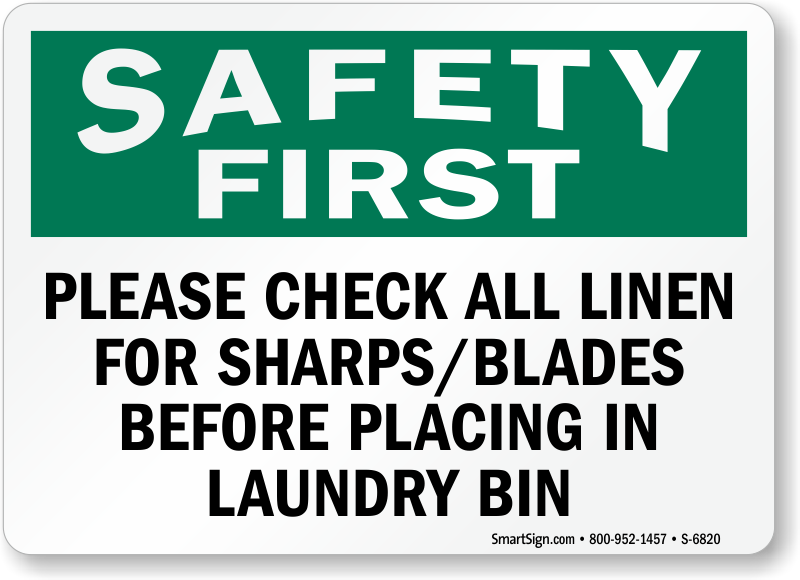 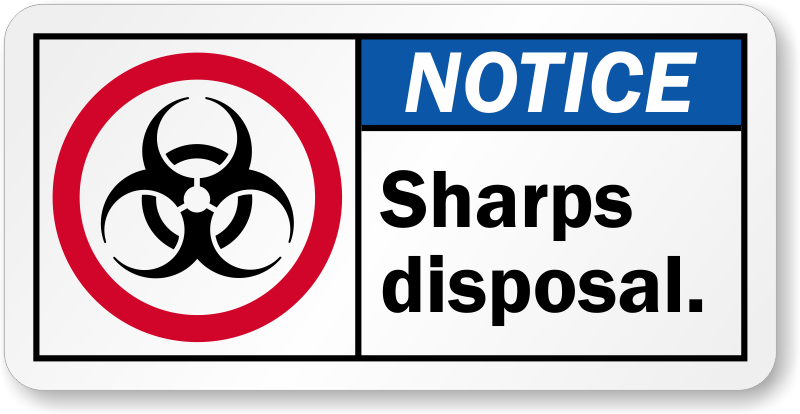 Don't cut corners on disposing of sharps. 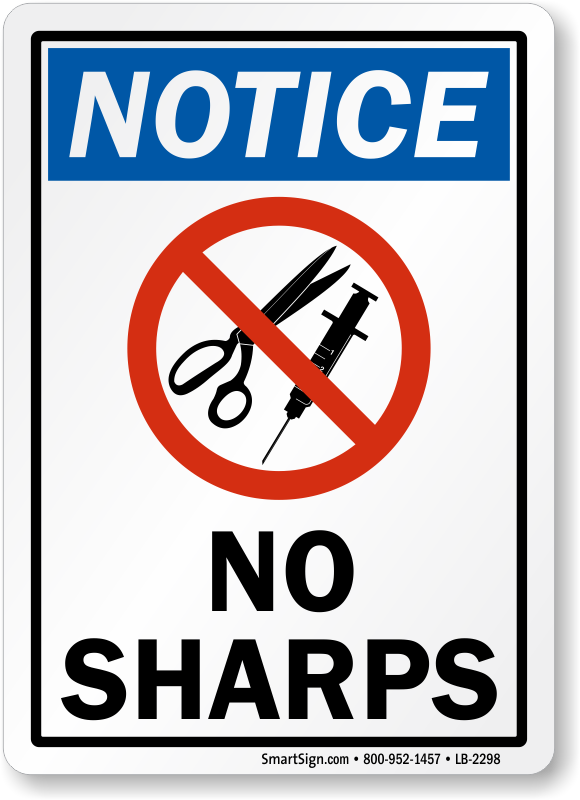 Learn how to toss used needles, syringes, lancets properly.